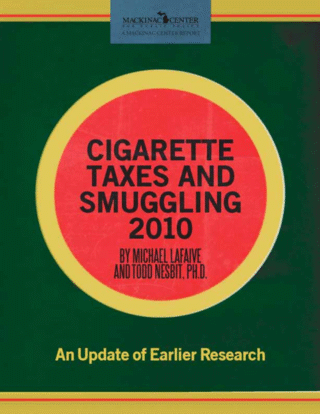 [*] For a longer narrative on cigarette smuggling in California, see LaFaive, Fleenor, and Nesbit, “Cigarette Taxes and Smuggling,” (Mackinac Center for Public Policy, 2008), 58-65, http://www.mackinac.org/archives/2008/s2008-12.pdf (accessed December 10, 2010). [†] One caveat is necessary: In 2010, the state of New York hiked its taxes to $4.35 per pack. This increase might lead to a higher smuggling rate than California’s, even with California’s proposed tax hike.